Sherlock 2's Story . . . 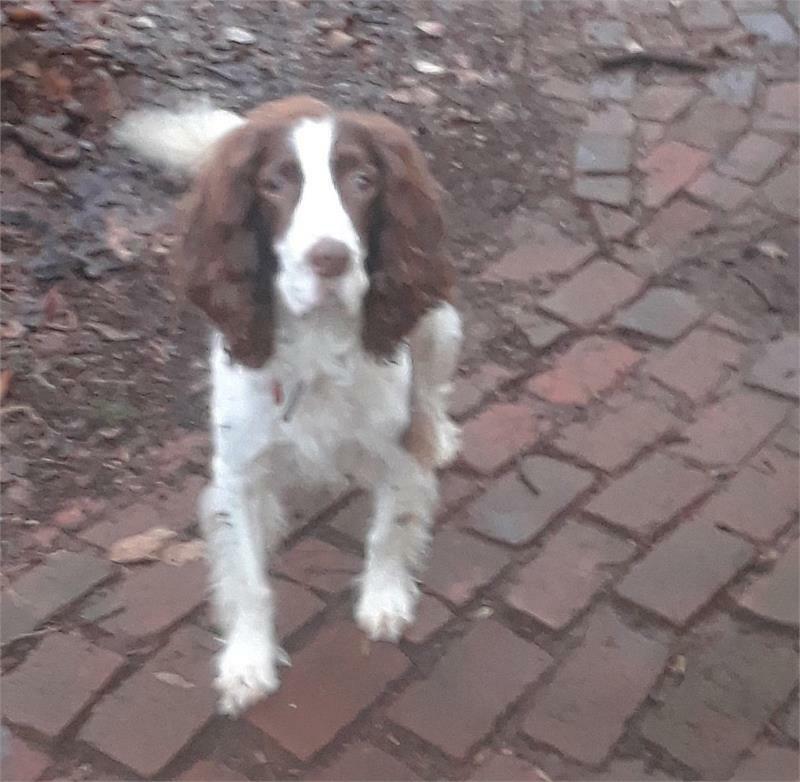 When Sherlock's owner’s elderly parents developed major health issues, he had to oversee their care in another state for about half of each month. With this huge time commitment, he knew that Sherlock and his litter brother Watson weren't in the best situation spending so much time being boarded. So, he reluctantly decided that rehoming these Jersey boys was the best option and he contacted MAESSR. 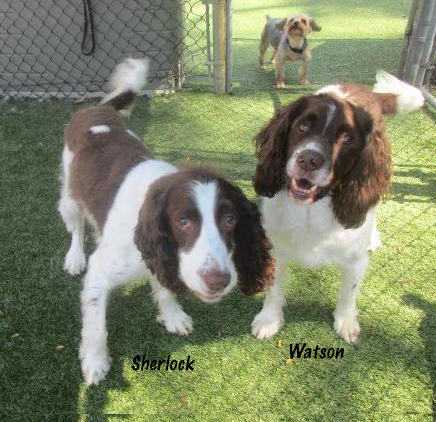 Sherlock has lived his whole life with his brother Watson. He's the outgoing one of the duo but does check in after being away from his sibling whenever they're parted even for a short time. He's by far the more outgoing, tail wagging at everyone, not hesitant to put a paw up to say, “Pet me some more” or to beg-- but just for bakery products! He hasn't counter-surfed in his foster home but reportedly pulled down muffins and ate half the batch in his prior home. Sherlock doesn't chew anything he shouldn't but will occasionally decide that a stuffed animal needs to be put to rest by ripping an arm or leg off so that the foster mom deposits it in the trash. On walks he will pull a bit on leash (who wouldn't with all the great smells in the yard), but a harness helps with that problem. Reportedly he'll dig some in the yard but hasn't done this yet in his foster home. This boy is great in the car; he is an outgoing dude who loves new adventures. Grooming is a treat and he doesn't mind having his nails or ears done. What a good boy, Sherlock! Although Sherlock is a wonderful dog in his own right, it's hoped that he will be placed with his brother Watson. He doesn't need Watson as much as Watson needs him. However, if out separately on leash, they seem to converse about how it went in the outside world and what new things the other saw. How about bringing these bonded brothers home for the holidays?